Unfortunately, we have arrived at that time of year again. The recent rains did not do enough to forestall fire season this year and given current conditions the District will enter into fire season at midnight. The following Regulated Use Restrictions will be in effect until further notice. LRAPA should be shutting down open burning tomorrow as well. The following restrictions apply within the City of Cottage Grove, City of Creswell, and any lands within the SLCFR District boundaries, not protected by the Western or Eastern Lane Districts of ODF.  Smoking is prohibited while traveling, except in vehicles on improved roads, in boats on the water, and other designated locations.  Open fires are prohibited, including campfires, charcoal fires, cooking fires and warming fires, except at locations where fire pits are present. Portable cooking stoves using liquefied or bottled fuels are allowed. Briquette use is allowed in barbeques, but is restricted to use on hard, non-flammable surfaces such as patios, driveways, gravel, or green irrigated lawns.  Power saw use is permitted all day during low fire danger (GREEN), before 1:00 p.m. and after 8 p.m. during moderate fire danger (BLUE) and before 10 a.m. and after 8 p.m. during high fire danger (YELLOW). The use of power saws is prohibited during extreme fire danger (RED). Each power saw is required to have one shovel and one fire extinguisher of at least 8 ounce capacity. A Firewatch of at least one hour is required following the use of each saw.  Cutting, grinding and welding of metal is permitted all day during low fire danger (GREEN), before 1:00 p.m. and after 8 p.m. during moderate fire danger (BLUE), before 10 a.m. and after 8 p.m. during high fire danger (YELLOW) as long as it is conducted in a cleared area and has a charged garden hose or one 2 ½ pound or larger fire extinguisher immediately available. This activity is prohibited during extreme fire danger (RED).  The mowing of dried, cured grass is permitted all day during low fire danger (GREEN), before 1:00 p.m. and after 8 p.m. during moderate fire danger (BLUE), before 10 a.m. and after 8 p.m. during high fire danger (YELLOW), and is prohibited during extreme fire danger (RED). The culture and harvest of agricultural crops is exempt from this requirement.  Motor vehicles, including motorcycles and all-terrain vehicles, are only allowed on improved roads free of flammable vegetation, except for the culture and harvest of agricultural crops.  Use of illegal fireworks is prohibited at all times, and in any location within the District. Legal firework use is permitted in areas free of dried, cured grasses, brush, or trees unless prohibited in areas jointly protected by SLCFR and the Oregon Department of Forestry (ODF). Generally and where permitted, firework use is only permitted on asphalt, concrete, or gravel and a charged garden hose or one 2 ½ pound or larger fire extinguisher is immediately available. Moderate = Blue: Activity permitted until 1:00 p.m. and after 8:00 p.m.
High = Yellow: Activity permitted until 10:00 a.m. and after 8:00 p.m. 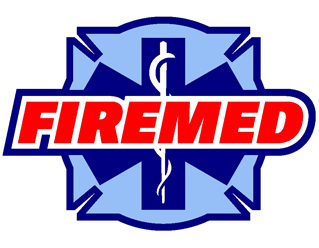 The Fire Chief or an authorized representative of SLCFR may, in writing, approve a modification or waiver of these requirements. These restrictions shall remain in effect until replaced, suspended, or terminated by an additional proclamation of the SLCFR Fire Chief or an authorized representative. The Whitsell Mill fire reported on May 27th at approximately 1900 hours has been ruled accidental. 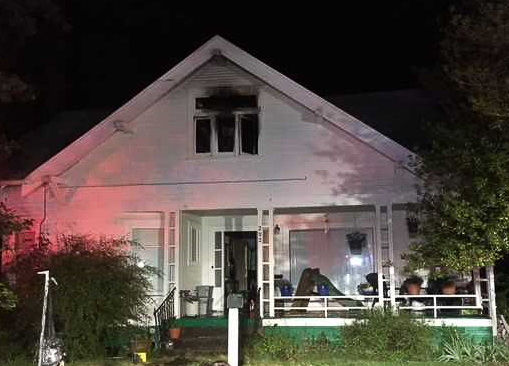 SLCFR was assisted in the investigation by the Oregon State Fire Marshalls Office, Oregon State Police, and the Bureau of Alcohol, Tabaco, Firearms, and Explosives. While the exact cause of the fire remains undetermined and may likely never be known, fire investigators located an area inside the mill where they believe the fire began. 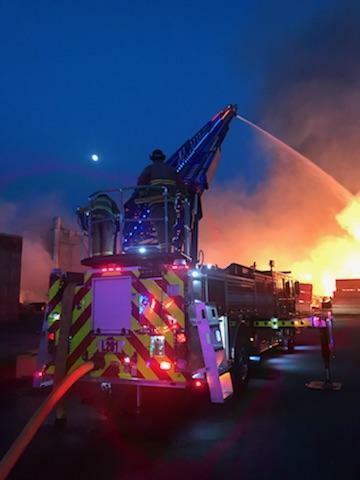 The fire is believed to have spread rapidly due to the facility construction being all wood, wood products present inside the facility, saw dust build up, open doors and prevailing winds at the time of the fire. The fire suppression system on the property was not effective in containing the initial blaze, allowing it to spread. The winds were of a direction and speed (NE) allowing fanning of the fire through an open door on the North end of the facility. The fire grew and spread rapidly aided by the winds until enough interior preheating occurred to cause a flashover inside the facility. The flashover is believed to have mainly resulted from sawdust particulate within the facility. Once the flashover occurred the remaining areas of the facility were rapidly engulfed in flames from the floor to the ceiling. SLCFR would like to thank all of the agencies who assisted with or supported suppression operations and the fire investigation from May 27 through May 30, 2018. If an actual cause is determined at a later date, and updated press release will be issued. South Lane County Fire & Rescue will be holding a Budget Committee Meeting at Station 201 located at 233 E. Harrison Avenue Cottage Grove OR 97424 on Wednesday June 6, 2018 at 6:00 p.m. This meeting is to review and approve the proposed budget for Fiscal Year 2018/2019. At this meeting the Budget Committee will listen to comments and take questions from the public.